Paul Lasike (Harlequins) is shown a yellow card. Bristol sub Harry Randall comes onto the field. Andy Uren departs for Bristol. Charlie Mulchrone comes on for Harlequins. Danny Care leaves the field. Harlequins decide to make a substitution, with Mark Lambert getting some game time. Harlequins decide to make a substitution, with Joe Marler being replaced. Harlequins make a substitution with Renaldo Bothma coming on. Harlequins make a substitution with Luke Wallace coming off. Bristol sub Joe Joyce comes onto the field. Christopher Vui departs for Bristol. Paul Lasike comes on for Harlequins. The Bristol supporters go wild as Ian Madigan successfully kicks the penalty goal. The touch judges raise their flags as James Lang kicks the penalty goal. Ian Madigan adds the points for Bristol. Bristol decide to make a substitution, with Zane Kirchner getting some game time. Bristol decide to make a substitution, with Luke Morahan being replaced. Ian Madigan does the business as his penalty goal attempt goes over. Harlequins make a substitution with Dave Ward coming on. Harlequins make a substitution with Max Crumpton coming off. 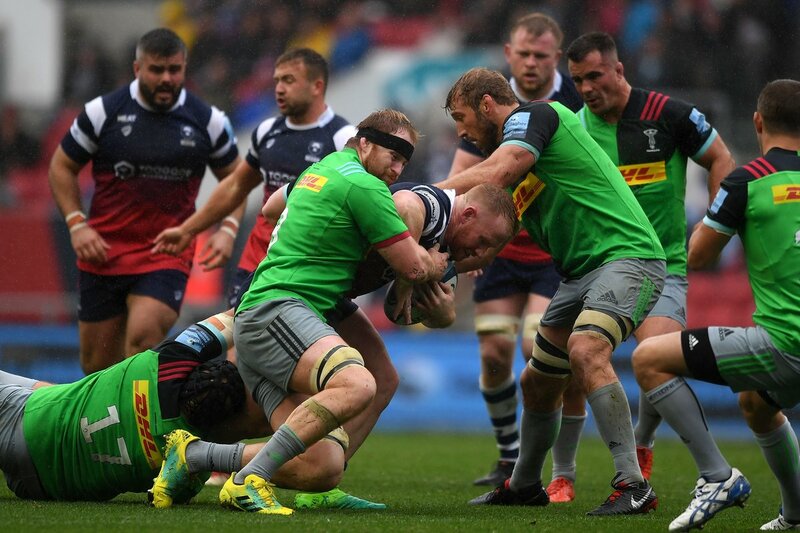 Joe Marler (Harlequins) is shown a yellow card. The defensive line has been broken as Luke Morahan goes through the gap. Ian Madigan has hooked the conversion to the left of the posts. Great hands by Bristol leads to a try for Piers O'Connor. What a run here by Harry Thacker as they gets over the gainline!. Alapati Leiua makes the break as the defence re-enacts the parting of the red sea. Fabulous play by Bristol has led to Luke Morahan being able to wriggle through a gap. Ben Tapuai (Harlequins) is shown a yellow card. This is dangerous for the defence as Alapati Leiua bursts through to advance the Bristol attack. A gap opened in the defence and Andy Uren took full advantage. James Lang has kicked a penalty goal. 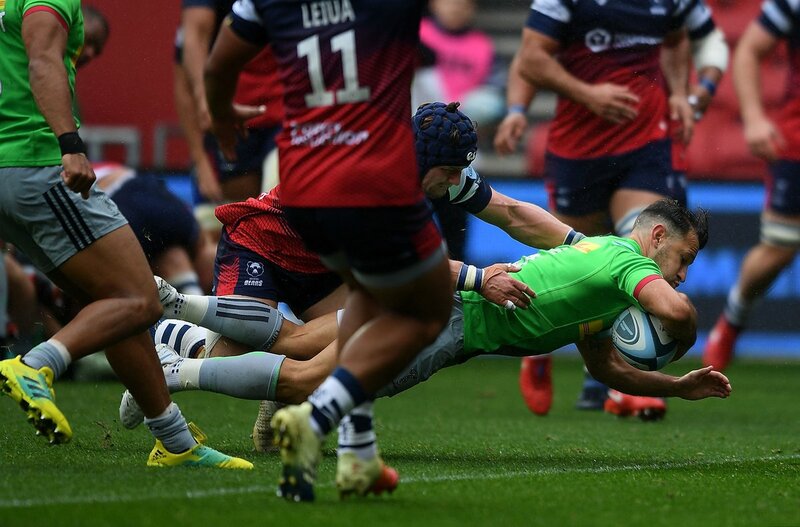 A stunning solo try from Danny Care. The defensive line has been broken as Danny Care goes through the gap. 🃏 Thank you to all the Quins supporters that made their way to Ashton Gate for today’s match. 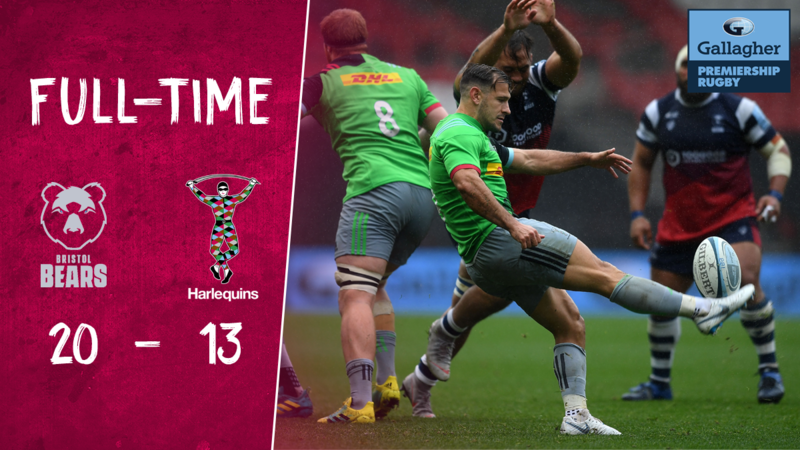 🗣 "I'm gutted because I expect higher things for this team and they expect higher things from themselves"
80' | Quins barrel into Bristol's 22 but the ball knocks forward and the match ends in defeat. 79' | Knock-on from Bristol at the rolling maul and Quins will have the scrum just shy of halfway. 76' | Bristol eventually kick it away and Quins will have the line out just inside their own 22. 71' | Great work from Quins to force Bristol to knock it on in the away side's 22. 63' | Bristol's throw at the line out isn't straight and Quins will have the scrum. 49' | Yellow card for Joe Marler for a high hit on Andy Uren. 45' | Quins look to work a quick move from the line out but again the ball spills forward. 41’ | Both sides back out for the second half. No changes for Quins. 39' | Quins infringe five metres out and Bristol kick away. 22' | Another penalty to Bristol and Quins are down to 14 after Ben Tapuai is shown the yellow card.